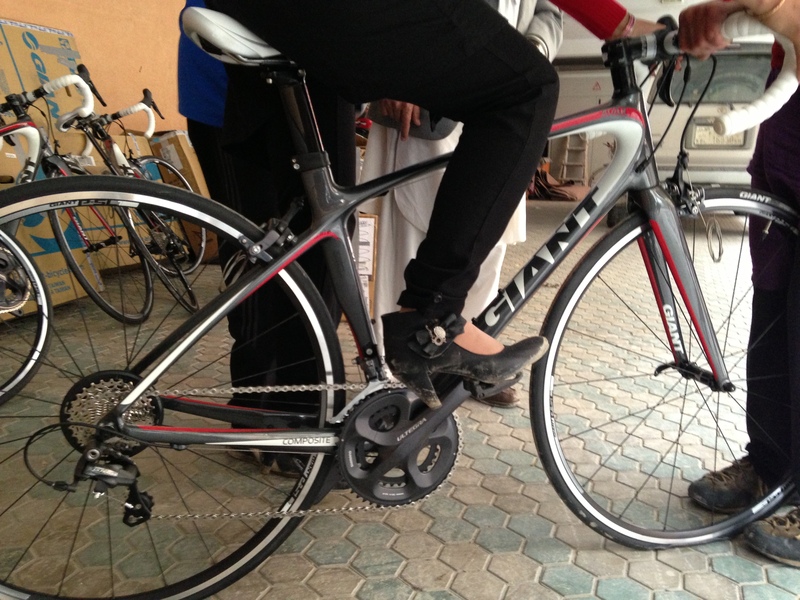 Today, Coach picked up the 5 brand new racing bikes for the girls national team. Thanks to Liv/giant, the girls have 5 racing bikes to compete on, with another 7 arriving this fall. After Ky arrived from the States as our ‘bike mechanic’, she immediately got to work on assembling the bikes. 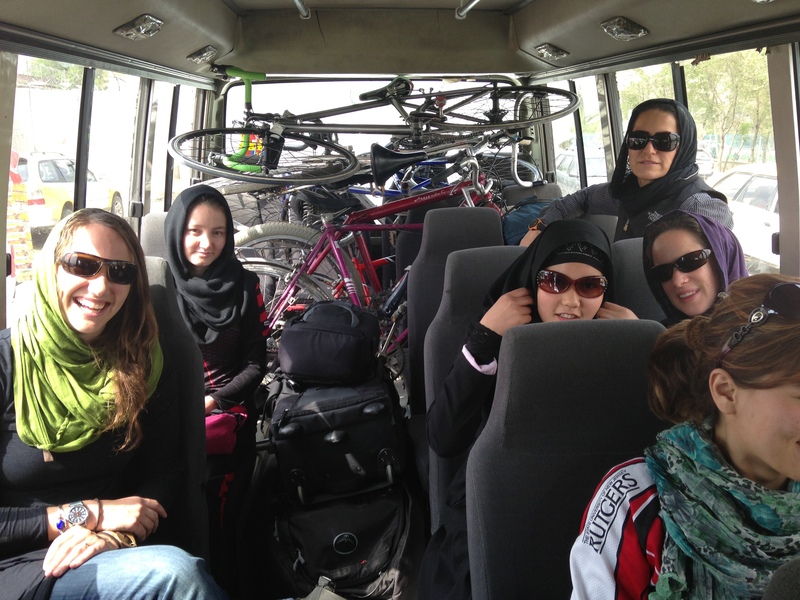 She got a chance to ride briefly with the girls on a training ride on one of the trucking roads out of Kabul, and to sit in on several of the interviews to meet the Coach and the girls and better understand our program and these amazing girls. 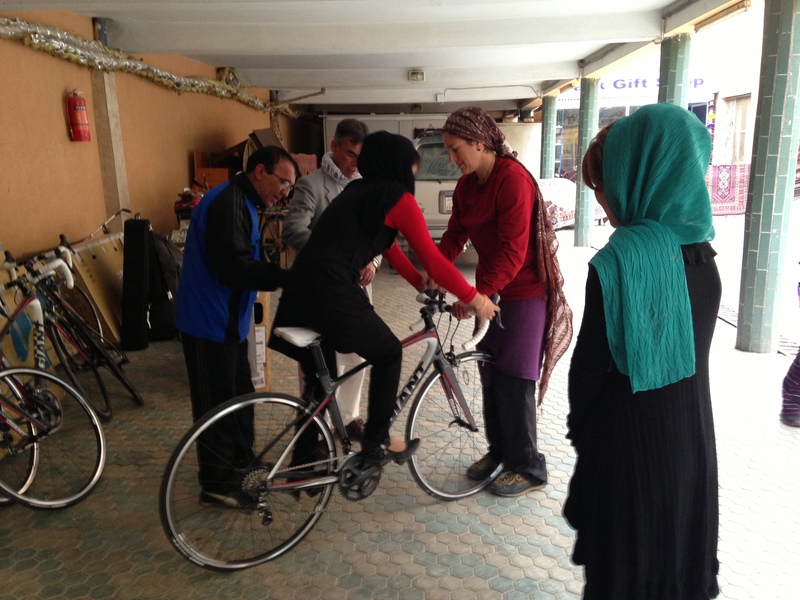 Two days later, we invited the girls over to the guesthouse/bike shop to get fitted. 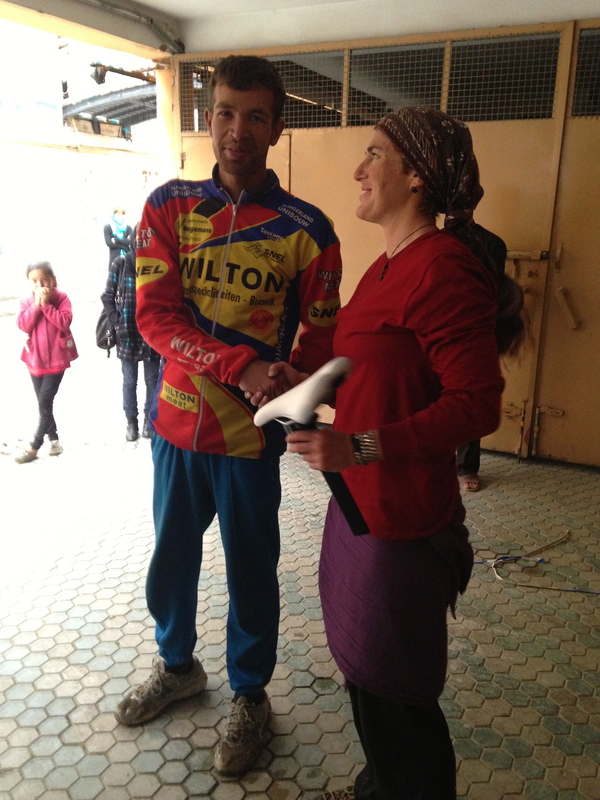 They arrived in typical Afghan fashion for the bike fits. Ky did a mini bike clinic with the team’s bike mechanic and of course, coach was there giving his opinion. 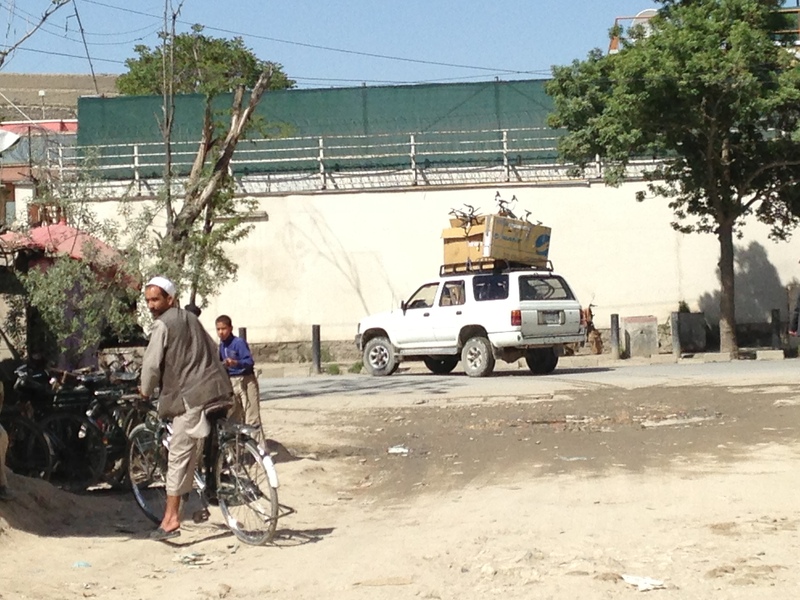 The trick with these bikes is the lack of bike racks in Afghanistan. After a road trip with the girls to film a training ride, the common method of bike transportation became clear. All well and good for steel monstrosities like the ones they train on, but less than ideal when transporting lightweight racing bikes. If the girls could simply ride from home, they could keep their bikes at home and ride to the training rides. But due to the nature of security and controversy that surrounds girls cycling, the girls can only ride with a male family member or with the coach. 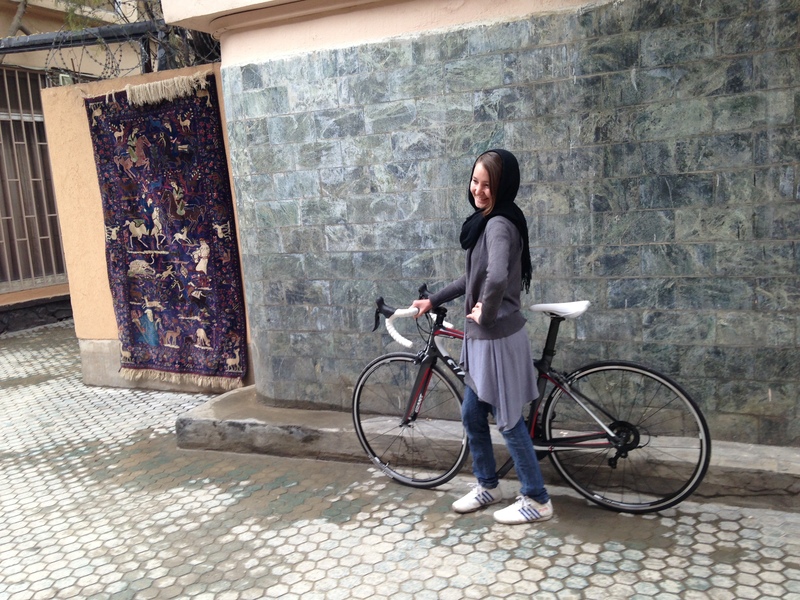 So that involves the coach picking them up with the bikes to drive outside of Kabul to train on highways and backroads that are paved. So for now, the girls will continue to train on the steel, with one day training a week on the racing bikes until we can come up with a transportation solution that wont destroy the bikes. That brainstorm is already in progress. In the meantime – Coach came to pick up the bikes today. With a trunk full of old bikes already, his LandCruiser didn’t seem capable of picking up the 5 Liv/giant bikes plus the one full carbon BMC frame that we gifted him to replace the pink steel commuter he rides, with Hercules painted along the frame. 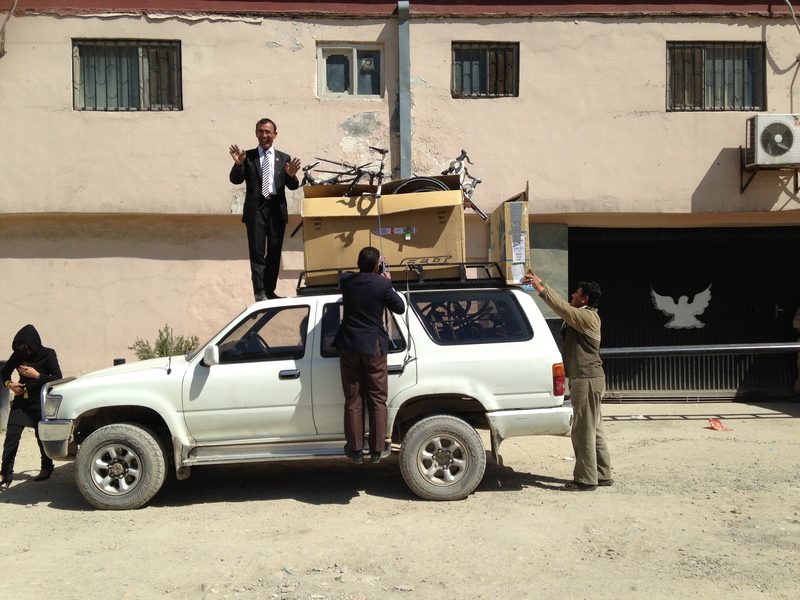 In typical Afghan fashion, he assured us that it was fine, that the bikes would fit and we went outside to load them up. Hilarity ensued, and I just shook my head in wonderment at it all. In the meantime, assured by Coach the racing bikes would arrive to their destination in one piece, we are excited that the girls will have road bikes for their upcoming competition in Thailand later this year, and to continue to grow the sport. Huge thanks to the support crew: Above the Rise Cycles, Boulder Cycle Sport, Liv/giant, and Skratch Labs. Not to mention those of you that donated clothing and equipment as well as cash – without you this trip wouldn’t have been possible! So excited to hear how the race goes but more importantly how the sport grows amongst and for these amazing women. Great work.